The first thing you should be aware of is that this game is essentially a roguelike. I say “essentially” because I have never played a roguelike that felt more like a platformer before. The basic mechanics of the game are beautifully simple. You have to fall farther and farther down the well, avoiding debris and malevolent creatures as you do so. There’s a distinct rhythm to it, once you get the hang of things. Luckily, you can do more than avoid said creatures, and this is all thanks to the game’s most unique feature – the gunboots. Yes, much like Bayonetta, the unnamed protagonist is armed with deadly weapons on his feet. You don’t know why, as there isn’t much in the way of plot, but frankly it doesn’t matter. What does matter is playing the game feels utterly unique and awesome. Watch out for angry skeletons! See, there is a strategic element to your constant descent, which can thankfully be controlled with an XBox 360 controller. If you manage to repeatedly destroy enemies without touching the ground, you’ll get a combo multiplier. You can do this by bouncing off some enemies (just not the red ones, those hurt you when you touch them). Keep a chain going long enough, and you’ll get rewarded with gems. The reason gems are so important is twofold. First, they unlock various content when you die, and secondly, they serve as your currency to buy items in stores. The shopkeep will always have a random assortment of items, such as food to restore your health, batteries to extend your ammo capacity or even the rare upgrade to increase your starting health. That last one is especially important, and it’s also exceptionally expensive. But if you have enough hard earned gems, it’s definitely in your best interest to snag it. Stop making money off of my suffering! There’s another aspect to the gameplay, and that is how the gunboots actually work. By pressing the jump button while descending, you’ll fire projectiles from your gunboots. To reload them, you need to either touch the ground or bounce off an enemy. 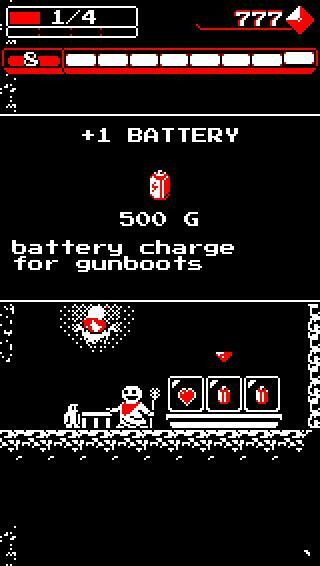 You can find gunboots tucked away in alcoves, and if you’re lucky, sometimes you’ll find one that also heals your health a bit, marked with a heart. Depending on which gunboots you have equipped, there is a wide variety of shots you can fire. You always start with the machine gunboots, but you can also find a spreading triple gun, a short range shotgun, lasers, and even something strange called the Noppy gun, which is like the machine gun, only with more horizontal thrust capability. It’s a lot of fun to try out the different weapons to find what works best, but for me Noppy was typically the way to go. 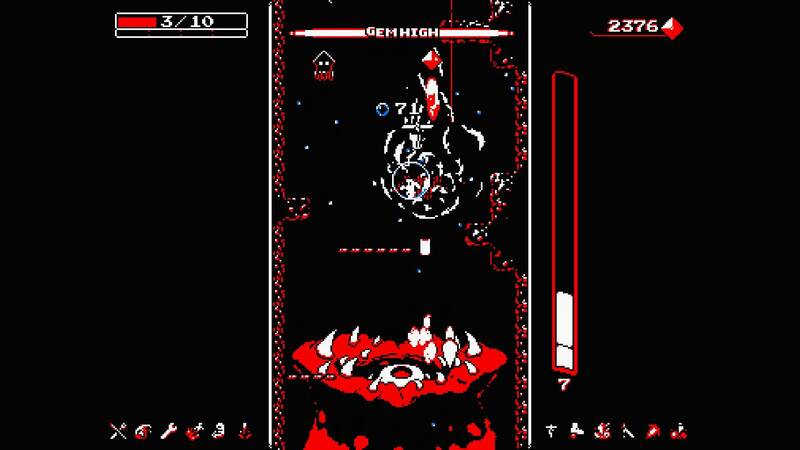 The world of Downwell is split between 4 distinct worlds which are themselves separated into 3 segments. Each world gradually introduces new dangers and mechanics, such as the spike traps in the Catacombs or the need to constantly find air bubbles while falling through underwater segments. Each time you beat a segment, you are rewarded with a random upgrade. This is where the roguelike nature of the game comes distinctly into play, as you can pick from a random assortment of truly useful tools. There’s a wide range, such as the Fork & Knife, which lets you consume the corpses of foes to heal yourself; or Gem Powered, which allows gems to recharge your gunboots, which is super convenient, or better yet, a little dumpster Drone who fires when you fire! There’s a lot more than that, but trust me when I say they all add to the experience. The other primary roguelike feature of the game is how, when you die (and you will die a LOT), your gems unlock various palette swaps and even new play styles. I only ever tried the basic style, but there are some cool looking ones, such as Levitate Style, which lets you hover in midair, or Boulder Style, which boosts your health at the expense of upgrade selections. It’s a good thing you get something when you die, since, in true roguelike fashion, death means starting over again from the very beginning. Which brings me to my sole complaint – the final boss. Yes, I too was surprised to find there was an actual boss in this game. Not only that, but this Cthulhu-esque monstrosity is TOUGH, and has 4 phases you’ll need to blast through in one sitting, all the while avoiding the monsters he summons, the descending spiked ceiling, and its own projectiles. If that sounds like a challenge, it certainly is, and it’s one I haven’t beaten yet. In fact, while I would say it took me a good 2 hours or so to master the mechanics of the game and get good enough to get to the final boss, I spent a good 4 hours trying, again and again, to beat that boss. And yes, that means every time I started over from the very beginning. 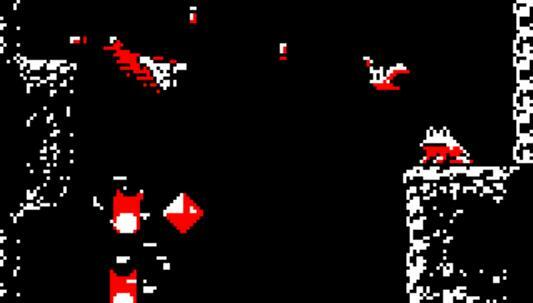 I found that to be the only really frustrating part about Downwell, especially since every other aspect of the game is honed to perfection. It has a novel art style that somehow makes it pop with energy, tight controls and the music in the game is utterly transcendent. Each world has a unique track, and they all are pure retro gold. I can’t recommend the music in Downwell highly enough, it’s so good I want to listen to it while playing other games. In summary, I spent a good 6 or so hours playing Downwell, and am happy I did so. While it’s frustrating to not have beaten the boss yet, I do recognize roguelikes aren’t known for holding player’s hands. But if I can beat Mega Satan on The Binding of Isaac: Rebirth twice, I will beat this horror at least once. 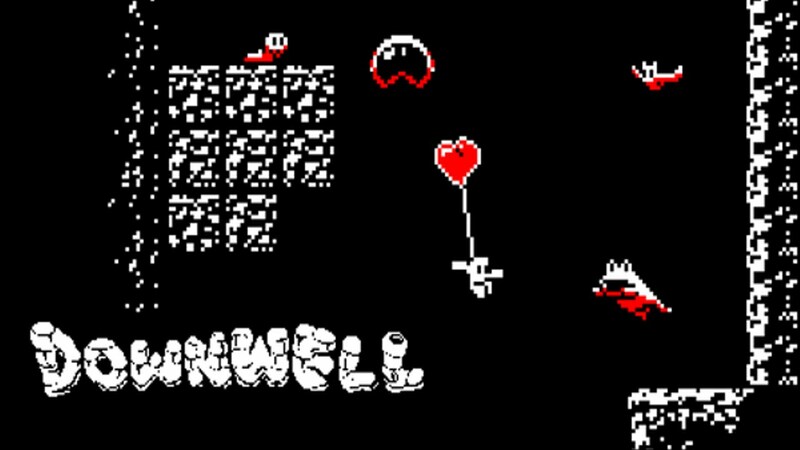 I would definitely recommend Downwell highly to any fan of retro, or even any Steam user looking for a lot of bang for very little buck. 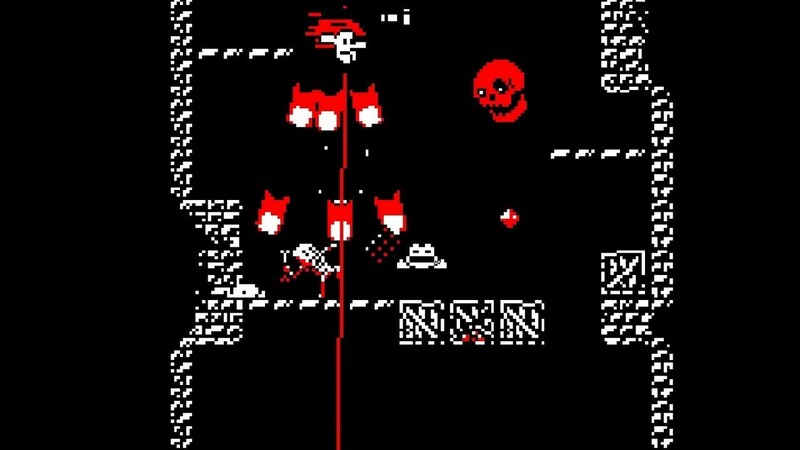 Moppin has truly made a classic experience in Downwell, and I look forward to their next descent into madness!